Today I bring you my DVD haul! I got a few DVDs for my birthday and thought I’d show them to you! Disney have released their films with dust jackets and THEY ARE NUMBERED. I’m going to try and collect them all. I can’t wait. They’re only £6.99 each in HMV anyway! The Little Mermaid and The Lion King are ones I haven’t seen in YEARS I can’t wait to watch them again! The Christmas Candle, I got because of Samantha Barks. I will watch anything she’s in until the end of time. Trust me. I haven’t finished the film yet so I can’t judge it but there shall be a review up once I have finished it! And I also love a good musical. Begin Again has intrigued me since it was released in cinemas. And Jersey Boys looked amazing and yet I still haven’t seen the stage show! Oops. 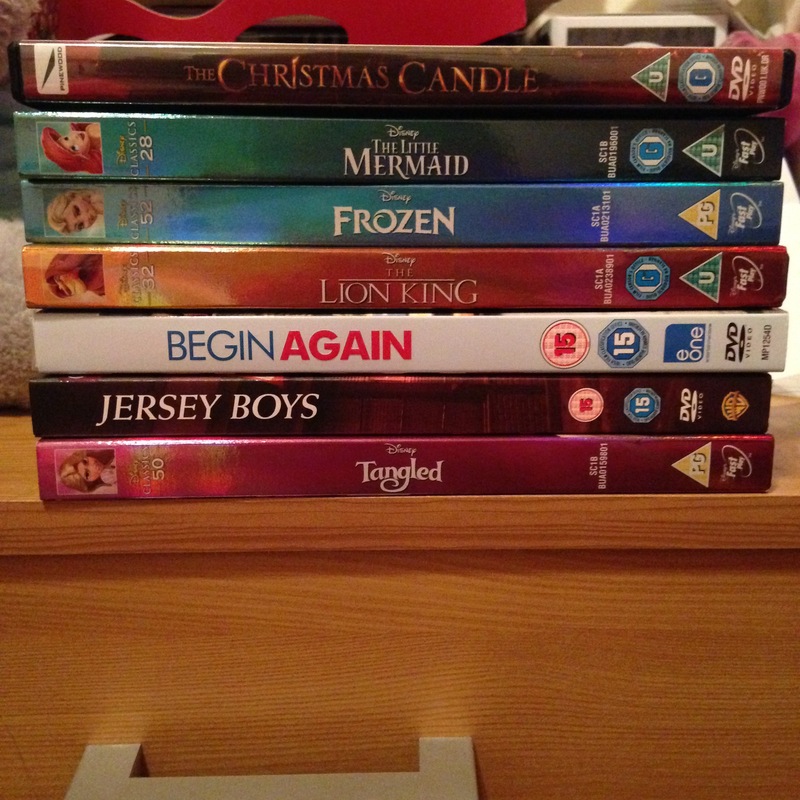 I have already watched Frozen this week but I’m going to try and watch the rest of them this week! Which one should I start with?